Location: Central Iowa -- west of Des Moines, west of Des Moines, north side of Raccoon River, joining Adel, Panora, and Jefferson. The Raccoon River Valley Trail (RRVT) is a very well known and popular destination in Iowa and the mid-west. The original 34 miles of this rail trail opened in 1989. It was one of the early asphalt surfaced trails at a time when crushed limestone was the norm. 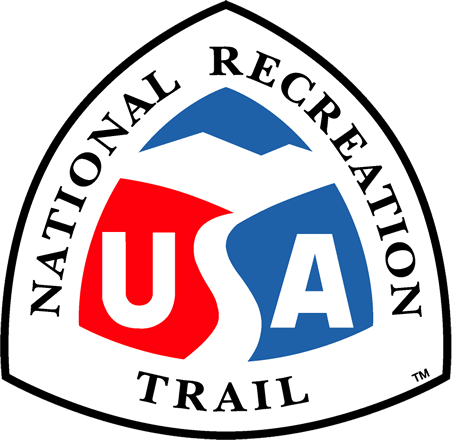 The RRVT was also one of the first trails developed through the National Trails Systems Act. The trail has now been expanded both east and west extending from its junction with the the Clive Greenbelt Trail in Polk County to Jefferson in Greene County - a distance of 56 miles. Right-of-way acquisition is currently taking place and development will follow to further add to the RRVT. This RRVT addition will add another 33.1 miles of trail that will connect the RRVT at Herndon in Guthrie County with the RRVT in Waukee in Dallas County thus forming a loop in the RRVT. This approximate 72 mile loop will be very popular, and will make the RRVT just over 89 miles long. The Raccoon River Valley Trail is the backbone of the Central Iowa Trails Plan. It links into the Des Moines Metro Trails System. When the proposed Ankeny to Woodward Trail is linked to Perry and the RRVT addition is complete, a 120+ mile loop will be formed. This will link the RRVT directly with the Heart of Iowa Trail, Saylorville Trail, Chichaqua Trail and the 4-mile Creek Greenway Trail. The RRVT is also part of the American Discovery Trail. 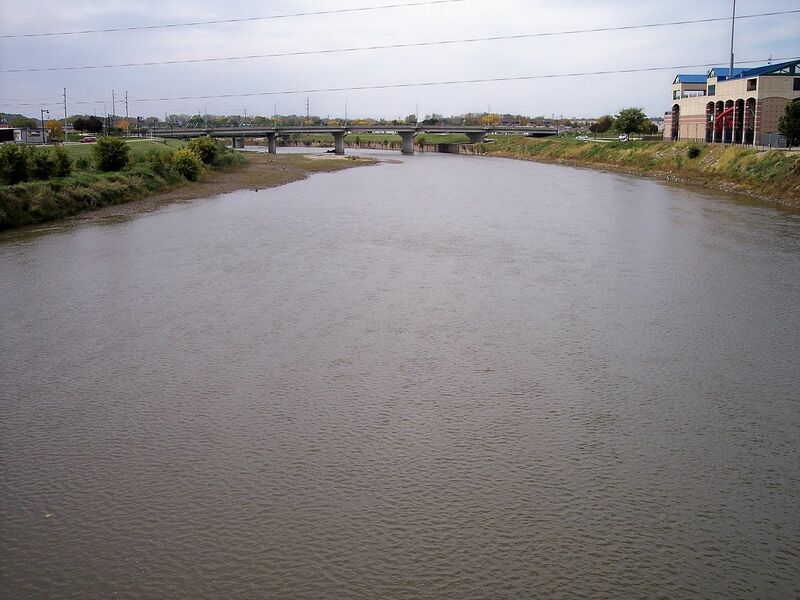 It has been designated as a Community Millennium Trail. The RRVT serves over a half million people within a 50 mile radius and promotes their health and well being. It benefits wildlife populations by preserving corridors of habitat. The RRVT maintains the historical composition of the landscape. It connects small communities together much the same as the railroad once did. The future additions to the Raccoon River Valley Trail will only add to the importance of this on a local, state wide, regional and national basis. 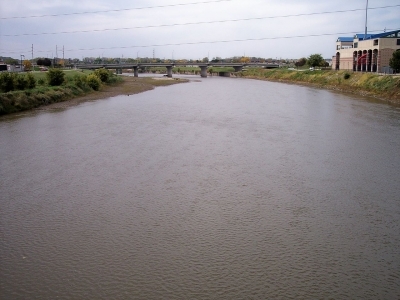 The Raccoon River inDes Moines, Iowa, as viewed upstream from a pedestrian bridge at its mouth at the Des Moines River. Photo by Tim Kiser.